Gunther is an independent Scrum Caretaker; a connector, writer, speaker, humanizer. Gunther Verheyen is a longtime Scrum practitioner (2003). After a standing career as a consultant, he became partner to Ken Schwaber, co-creator of Scrum, and Director of the Professional Scrum series at Scrum.org (2013-2016). Gunther nowadays engages with people and organizations as an independent Scrum Caretaker. Gunther ventured into IT and software development after graduating in 1992. His Agile journey started with eXtreme Programming and Scrum in 2003. Years of dedication followed, years of employing Scrum in diverse circumstances. As from 2010 Gunther became the inspiring force behind some large-scale enterprise transformations. In 2011 he became a Professional Scrum Trainer. Gunther left consulting in 2013 to found Ullizee-Inc and partner exclusively with Ken Schwaber, Scrum co-creator. He represented Ken and his organization Scrum.org in Europe, shepherded the ‘Professional Scrum’ series and guided Scrum.org’s global network of Professional Scrum Trainers. Gunther is co-creator to Agility Path, EBMgt (Evidence-Based Managing of Software) and the Nexus framework for Scaled Professional Scrum. 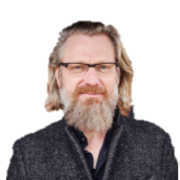 Since 2016 Gunther continues his journey as an independent Scrum Caretaker; a connector, writer, speaker, humanizer. His services build on 15+ years of experience, ideas, beliefs and observations of Scrum, expressed in re.vers.ify, an act of people re-imagining their Scrum to re-emerge their organization. Gunther created the acclaimed book “Scrum – A Pocket Guide” in 2013, with a second edition published in 2019. Ken Schwaber recommends his book as ‘the best description of Scrum currently available’ and ‘extraordinarily competent’. In 2016 the Dutch translation was published as “Scrum Wegwijzer“. In 2017 the German translation was released as “Scrum Taschenbuch”. Other translations are planned for 2019. When not travelling for Scrum, Gunther lives and works in Antwerp (Belgium).